(P1) Jade Hameister might soon become the youngest person to travel to the ends of the Earth. 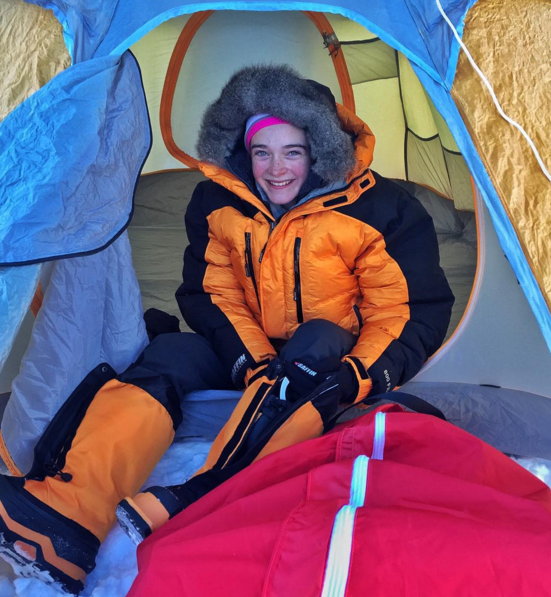 The 14-year-old from Melbourne, Australia, is about to embark on a three-week trek to the North Pole that will see her skiing 140 miles across sea ice while pulling a sled that weighs as much as she does. Think that’s impressive? It’s only her first stop on a quest to complete the “polar hat trick”—crossings of the North Pole, South Pole, and Greenland, totaling 1,243 miles, reports Mashable. Jade plans to attempt the Greenland crossing in April 2017 and the South Pole later that year, and she’ll be accompanied by her dad, a polar guide, and a cinematographer who will document the adventure for National Geographic. The goal is to “inspire and empower young women around the world to be more active and chase their dreams,” says Jade, per the BBC. Would you go to the North Pole or Antartica? Why or why not? What’s your opinion about people who climb Mt. Everest? If you were lost in the wilderness, do you have the survival skills to live? Do you think Jade is an inspiration to young women? Why or why not?